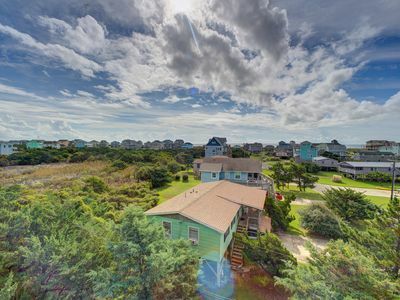 Say hello to EZ Times in this beautiful, comfortable Island getaway. 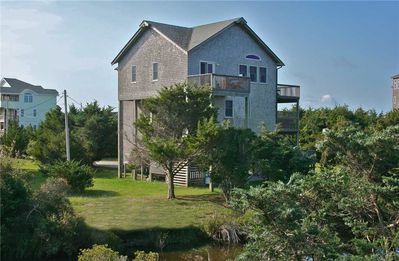 Relax and kick back in this well-maintained, 3,800 square foot oceanfront home in exclusive Kinnakeet Shores. 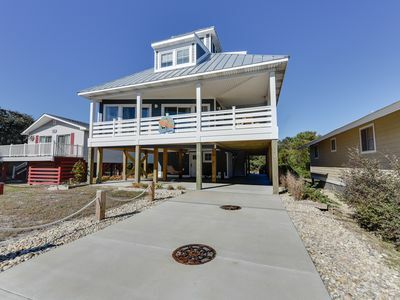 The ground level has concrete parking with three carports, elevator landing, fish station, two outdoor showers, new open grill patio area, and beach boardwalk. 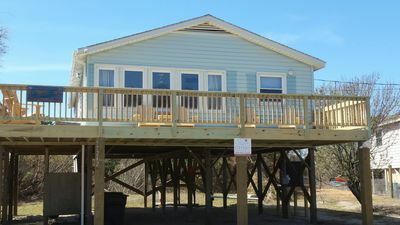 The first level has a furnished game room, entertainment center, and a bedroom with two single beds and a private bath. 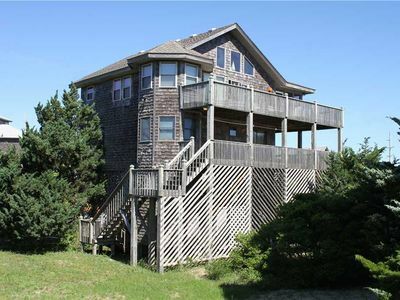 On the second level, enjoy oceanfront views from bedrooms two and three, with a shared bath. 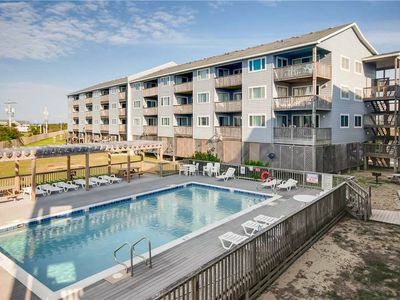 One bedroom has a queen bed and the other has a king. 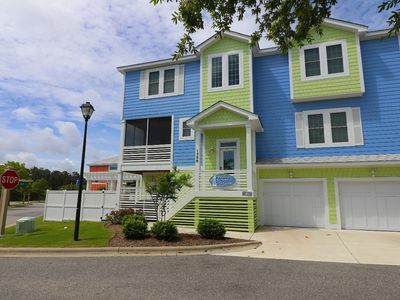 Wake up to the beach as both rooms have private access to the large furnished wrap-around deck. 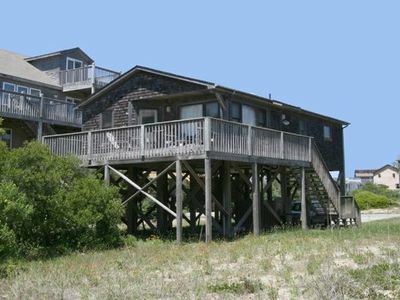 Bedroom four is an oceanfront king master with deck access. 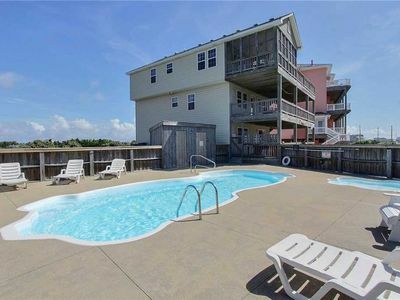 You’ll want to unwind in the sunken hot tub just outside these rooms on the covered deck. 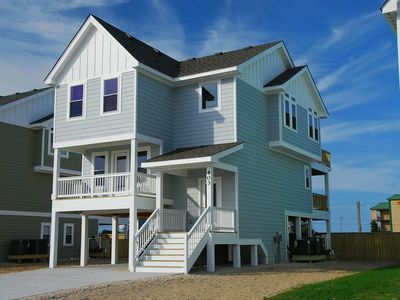 Bedroom five is a large queen master with private deck and private handicap-friendly bathroom. 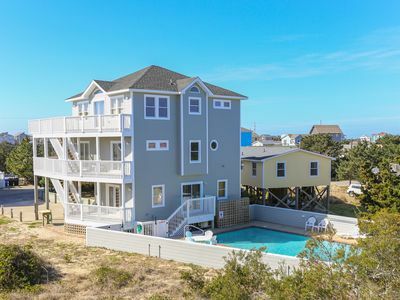 This bathroom has a roll-in shower, grab bars, and roll-up vanity. 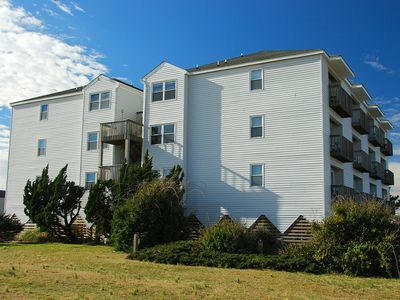 The laundry area is conveniently nearby. 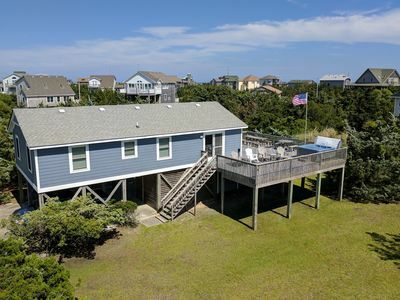 As you reach the third level, enjoy the great room with vaulted ceilings, 1/2 bath, wet bar with under counter fridge, and miles of oceanfront glass. 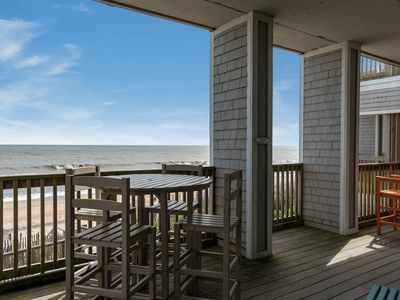 This spacious room features upscale furnishings, tile and beach decor highlighting the living and entertainment area loaded with a digital widescreen TV for everyone to enjoy. 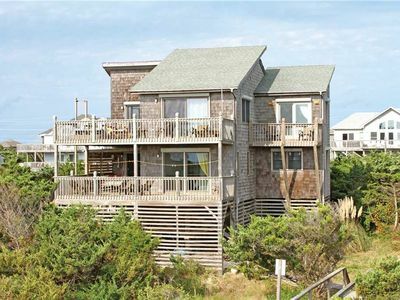 The well-equipped kitchen has a large bar and captivating oceanfront dining area. 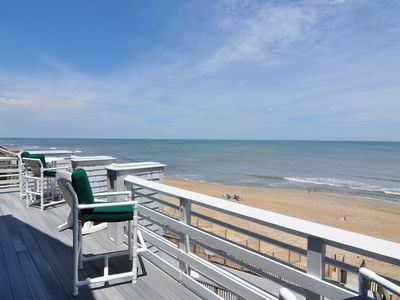 Melt in the wide 10' furnished sundecks or cool down under the welcome covered deck. 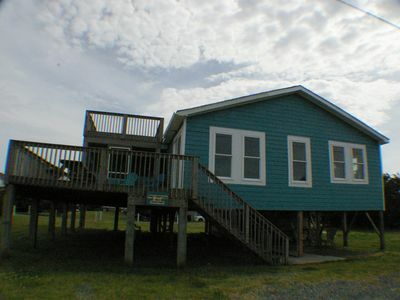 Bedroom six is a comfortable king master with Jacuzzi tub. 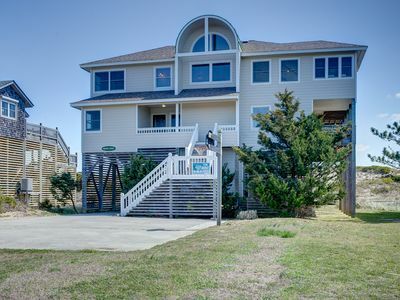 With instant beach access, gorgeous ocean views, and plenty of amenities, EZ Times #192 is the place to take it easy on your next Hatteras vacation! 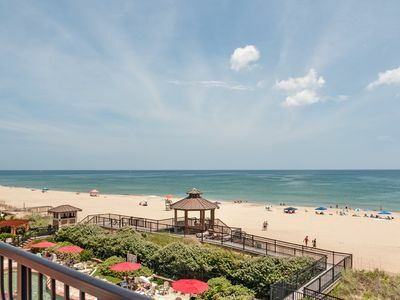 Crystal Shores 202: Oceanfront condo, community pool, elevator and grilling area. 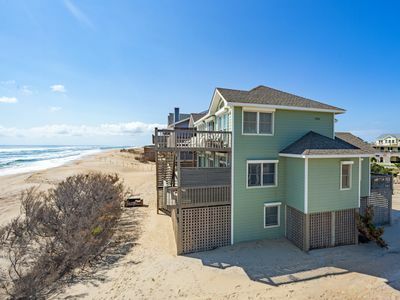 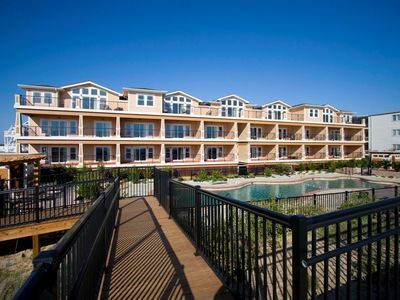 Perfect Condo for a Carefree Outer Banks Vacation!